Perhaps feeling some affinity for another TV star with limited political experience, Bloomberg claims that Trump will chose ex-Fox & Friends star Heather Nauert as the US’ next ambassador to the United Nations. Trump had already confirmed that Nauert was a “very serious consideration” in early November. Trump is a regular viewer and one time guest of the show, and Nauert herself has developed a close relationship with Trump’s daughter Ivanka. 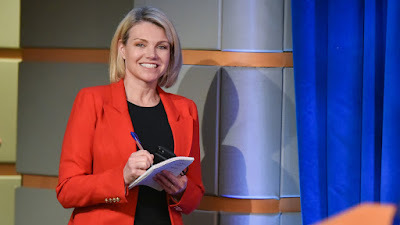 Nauert’s foreign policy experience is limited to her year-and-a-half tenure as State Department Spokesperson, plus half a year as the Under Secretary of State for Public Diplomacy and Public Affairs, plus one-episode cameo in Fox’s foreign-policy drama “24” which is all about international diplomatic crises. Now, she is poised to serve as the United States’ permanent representative to the UN’s 193 member nations. Trump’s choice of new UN envoy seems to contradict every mainstream story of his supposed ties to Moscow. While Haley consistently maintained overt antagonism toward Russia in the UN, it’s unlikely to get any better with Nauert, the speaker that brought us “Russia has long arms, Russia has lots of tentacles” in regard to the Skripal case, and once refused to answer a reporter's question because she was Russian saying: “Russian? Enough said, i’ll move on”.